The Oxford section of the VMCC will be starting their Boxing Day Meet/Run from the Red Lion in Cassington at around 10 o’clock. 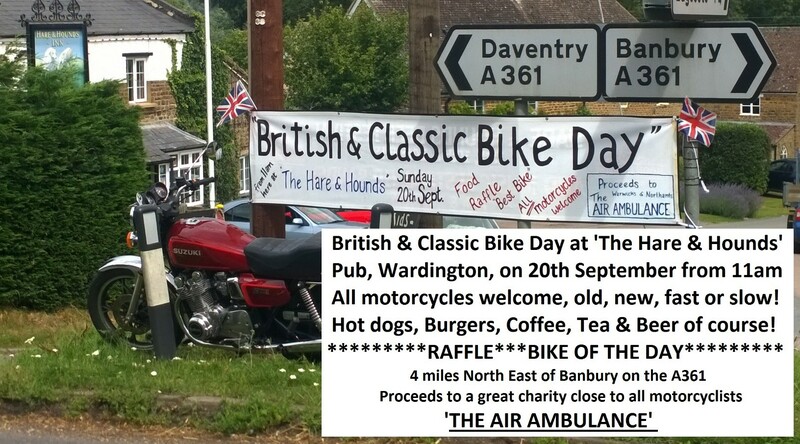 All enthusiasts are welcome to come along and see the bikes or bring their own should they wish. 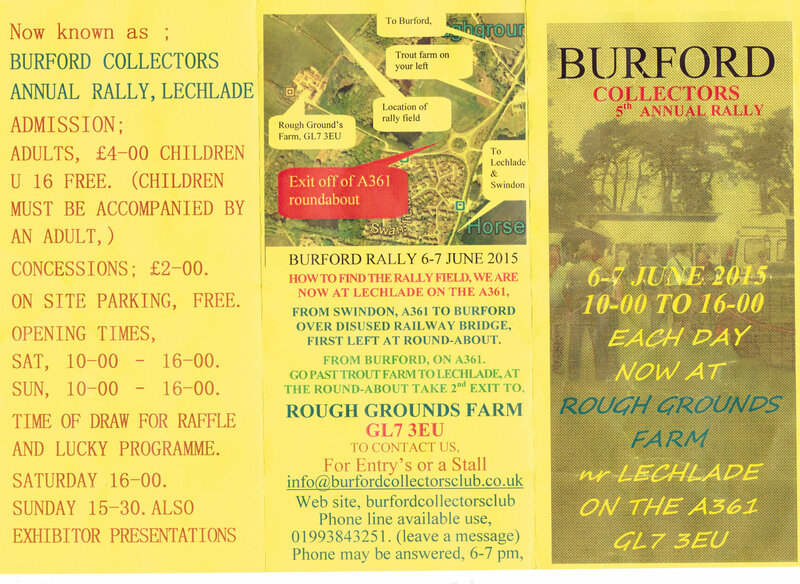 The run will be from Cassington to the White Hart at Fyfield (A420) followed by the Ron Amey Trial in the afternoon in the old quarry at Besselsleigh. 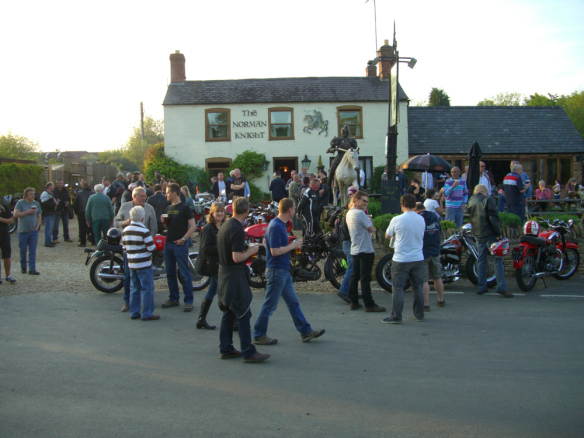 Cassington Bike Night 2015 was blessed with fabulous weather and as far as I could determine took place without incident. I suspect that the total number of bikes visiting the event was well up to the level of previous years. The quantity and variety of Brit bikes that parked up on The Green was fantastic and included many new to the event. Some VOC members enjoyed the evening and displayed their bikes. Most of the village was involved in one or another capacity which helps make the event very special. The images speak for themselves reflecting the variety of bikes and people that turned up. 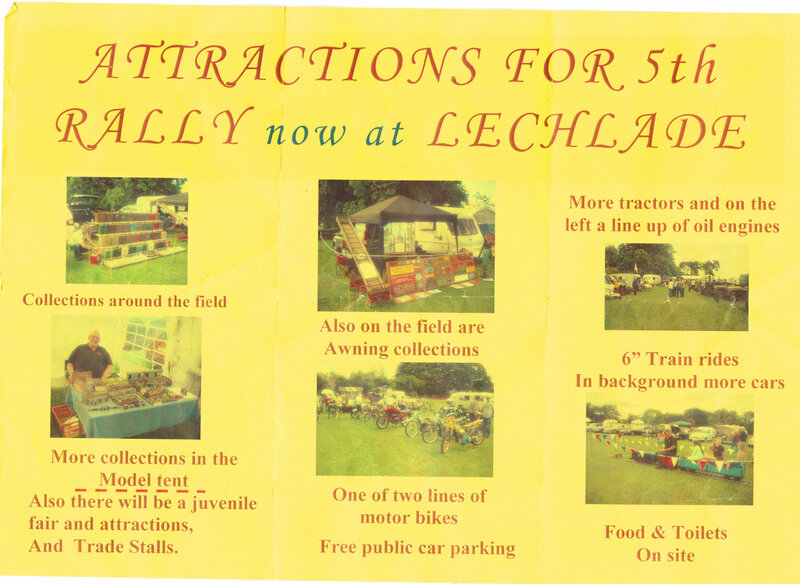 This event takes place every year on the last Monday of June and is now organised by the village of Cassington. My admiration goes out to Peter Woodward who can seen (in image no 2) starting his pre war MSS using his left leg. The re-sheduled and inaugural annual meal took place on Saturday March 7th 2015 and was attended by 4 members and their respective wives. The meal was at the hand and Shears in Church Hanborough and we were all well pleased with both the food and the service. It is the intention (and the hope) that the event next year will be better attended because those that did attend thoroughly enjoyed the evening. If I organise the meal next year I promise to not double book myself for the evening which was in no small part responsible for only 4 members being able to re-schedule…….